Run better prepared, more effective parents’ evenings. You set the times and parents choose their own appointments straight from their phone, tablet, laptop or computer. Save hours of classroom and admin time, while helping teachers and parents be better prepared to maximise their time together to boost student outcomes. Choose who is coming to your Parents' Evening with information automatically pulled from your MIS. 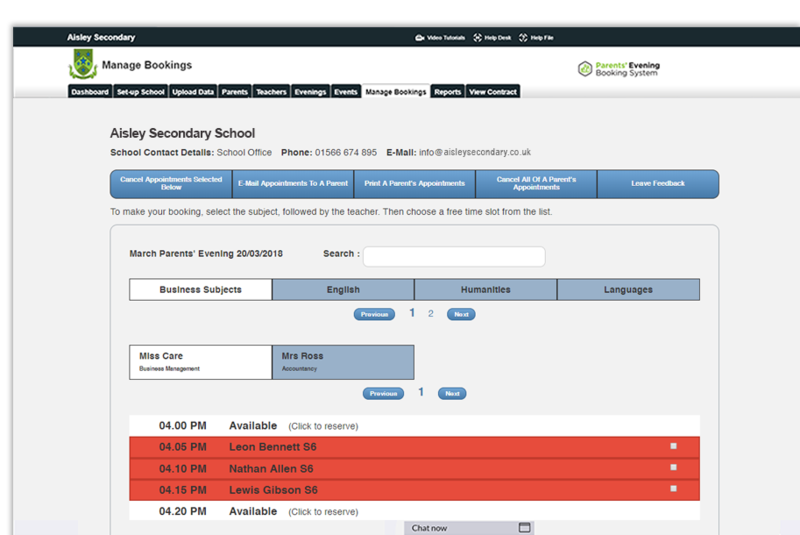 Select the date and time of your parents evening and set booking deadlines for parents. Parents and teachers can make suggestions in advance, meaning everybody is prepared to have the most relevant discussions. 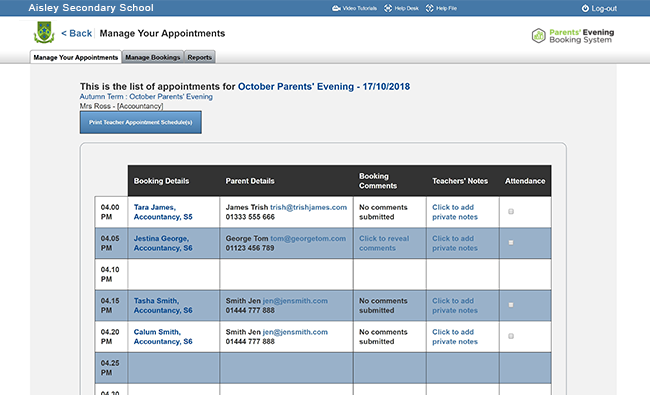 Prepare for any potential pitfalls with complete visibility before, during, and after your parents' evening with our handy reports feature. Identify students without appointments, and those who haven't had any for your current academic year. 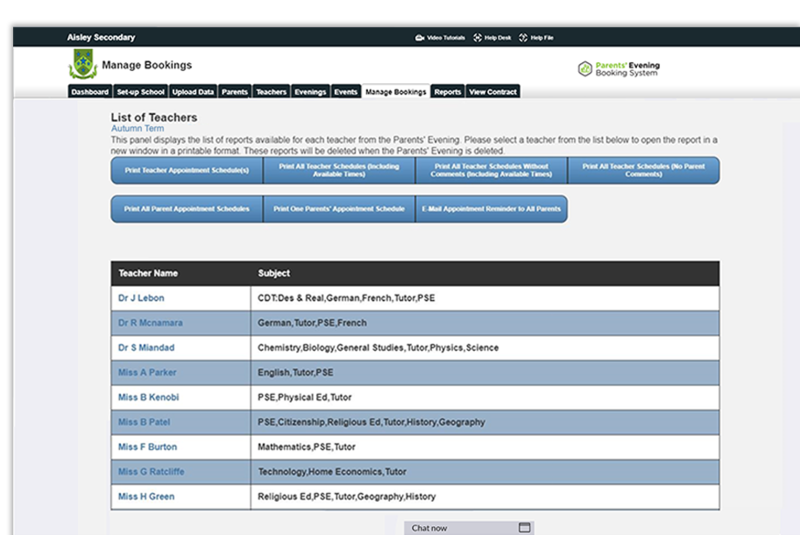 Enjoy complete visibility of your teachers' availability and add comfort breaks and extra slots as needed. Automatically send reminders to parents who haven't booked appointments by a certain date. "Parents' Evenings is something I would really promote because of the impact it has had on getting parents in and how much more professional it has made the evenings. If schools want to improve in engagement, this is a great way to do it because it makes you look at your whole process." 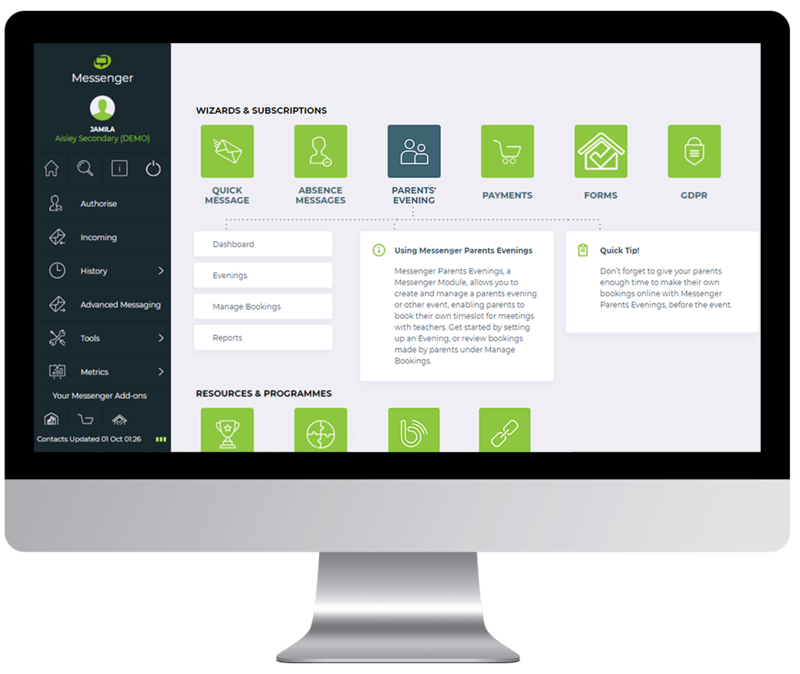 Messenger Parents' Evenings is one of several add-ons that integrates seamlessly with Messenger to help improve your parental engagement. 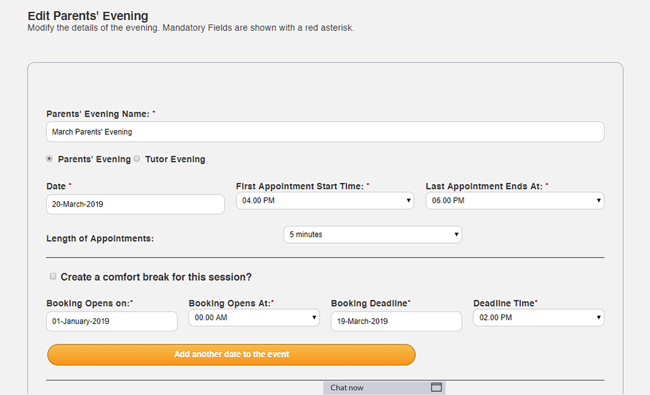 Contact us to switch Messenger Parents' Evenings on and start planning your most efficient parents evening today.